The 772-ABR Single Handle Pull-Down Kitchen Faucet has a one or three-hole installation option and is available in an antique bronze finish. It contains a multi-function spray head with a 56" metal hose and is ADA approved. A matching base plate is available with this faucet that will have a corresponding finish. The dimensions for the 772-ABR are 2 1/4" x 9 1/4" x 14 5/8". This faucet is pressure tested to ensure proper working conditions and is covered under a lifetime warranty. 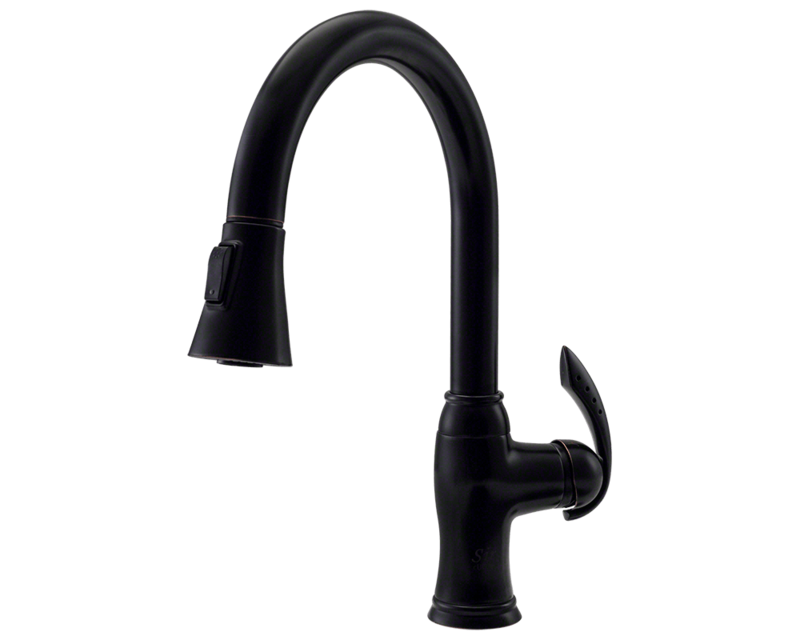 The 772-ABR is sure to add functional style to any kitchen sink.